AHR Expo is known for being the largest HVACR event in the world. This year the event heads to Orlando Florida and marks 90 years since their first event. On February 3-5, HVACR companies will have the chance to gather with fellow HVACR professionals to share ideas, learn from one another, and see what new products are available. The companies that will be exhibiting will range from major manufacturers to cutting edge start-ups. Whether you’re an HVACR professional that’s just starting out, or you’ve been in business for 50 year, the AHR Expo will feature hundreds of seminars, demonstrations, and exhibitors that you won’t want to miss. When is the AHR Expo 2020? The dates for this year's expo are: February 3-5, 2020. 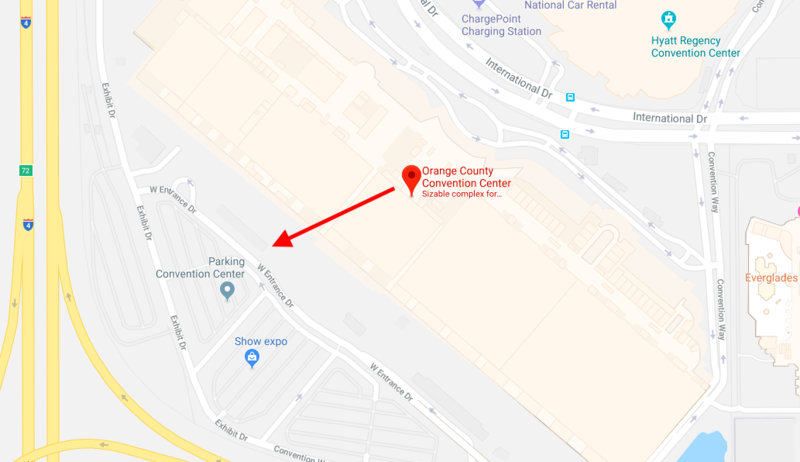 The show is located at the Orange County Convention Center. Any professional in the HVACR industry will want to attend this year's show. Major manufacturers and suppliers from the HVACR industry will be exhibiting at the show, plus some new, innovative start-ups. Some of the products you’ll find in the exhibit halls are: Heating Systems, Air Conditioning Units, Refrigeration Equipment, Ventilators, Ducts, Fans, IAQ Related Products, Building Automation, Controls, Networking, Energy Management Systems, Ratiant Heating, Hydronic Systems, Plumbing Products, Tools and Instruments, Software for HVAC Design, Estimating and Service/Business Management, plus Solar, Geothermal, and other Renewable energy Related Products. Yes, there will be more than 120 seminars and demonstrations. In these sessions HVACR professionals can learn about best practices, trends, organizations, products, and opportunities for the HVACR industry. What is the cost of the show? If you register in advance it’s free. Advanced registration is available until 2 weeks prior to the show, otherwise it’s $30 to register online or at the door. For the $30 registration fee, you can pay with either Visa or Mastercard. Are there official show hotels? Yes. There are designated show hotels that offer special low rates for show attendees, plus a shuttle will be available to take you back and forth from the hotel to the show. There is parking available for $15 per car at the convention center. Food and drinks will not be provided by the show. You can register for Free, online starting July 8th up until 2 weeks prior to the show. After that it will be $30 to register online or at the door. How to contact the show?